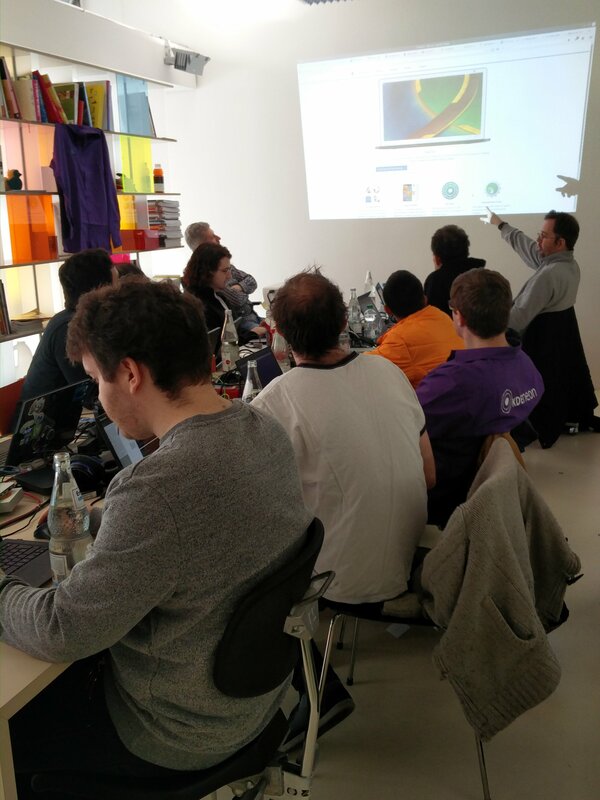 This year’s Plasma Sprint is kindly being hosted by von Affenfels, a software company in Stuttgart, Germany, focusing on mobile apps. Let me try to give you an idea of what we’re working on this week. One problem we’re facing in KDE is that for Linux, our most important target platform, we depend on Linux distributors to ship our apps and updates for it. This is problematic on the distro side, since the work on packaging has to be duplicated by many different people, but it’s also a problem for application developers, since it may take weeks, months or until forever until an update becomes available for users. This is a serious problem and puts us far, far behind for example deployment cycles for webapps. From a Plasma point of view, we want to concentrate on a single technology, and not three of them. My personal favorite is flatpak, as it is technologically the most advanced, it doesn’t rely on a proprietary and centralized server component. 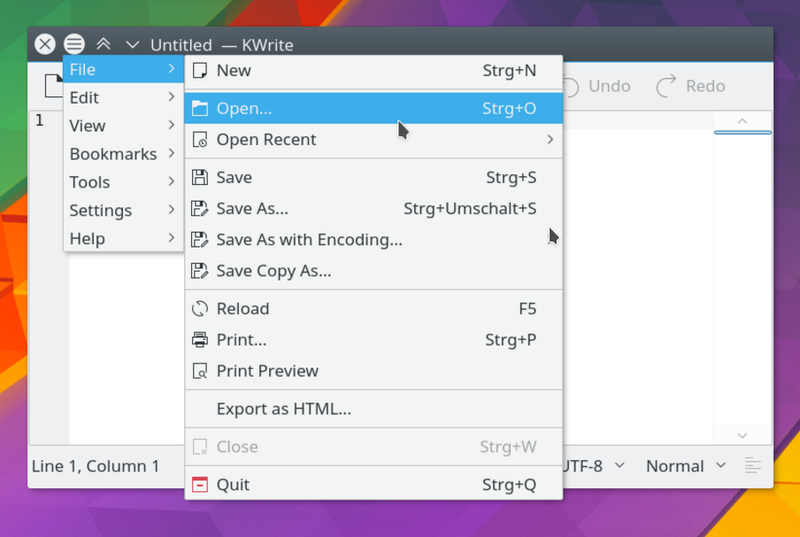 Unless Canonical changes the way they control snaps, flatpak should be the technology KDE concentrates on. This hasn’t been formally decided however, and the jury is still out. I think it’s important to realize that KDE isn’t served by adopting a technology for a process as important as software distribution that could be switched off by a single company. This would pose an unacceptable risk, and it would send the wrong signal to the rest of the Free software community. How would this look like to the user? I can imagine KDE to ship applications directly. We already build our code on pretty much every commit, we are actually the best candidate to know how to build it properly. We’d integrate this seamlessly in Discover through the KDE store, and users should be able to install our applications very easily, perhaps similarly to openSUSE’s one click install, but based on appstream metadata. We started off the meeting by going over and categorizing topics and then dove straight into the first topic: Communication and Design. There’s a new website for Plasma (and the whole of KDE) coming, thanks to the tireless work of Ken Vermette. We went over most of his recent work to review and suggest fixes, but also to get a bit excited about this new public face of Plasma. The website is part of a bigger problem: In KDE, we’re doing lots of excellent work, but we fail to communicate it properly, regularly and in ways and media that reach our target audience. In fact, we haven’t even clearly defined the target audience. This is something we want to tackle in the near future as well, so stay tuned. Kai Uwe demo’ed his work on better integration of browsers: Native notifications instead of the out-of-place notifications created by the browser, controls for media player integration between Plasma and the browser (so your album artwork gets shown in the panel’s media controller), acccess to tabs, closing all incognito tabs from Plasma, including individual browser and a few more cool features. Plasma already has most of this functionality, so the bigger part of this has to be in the browser. Kai has implemented the browser side of things as an extension for Chromium (that’s what he uses, Firefox support is also planned), and we’re discussing how we can bring this extension to the attention of the users, possibly preinstalling it so you get the improvements in browser integration without having to spend a thought on it. We only just started our sprint, and there are many more things we’re working on and discussing. The above is my account of some things we discussed so far, but I’m planning to keep you posted. The calm days between christmas and new year are best celebrated with your family (of choice), so I went to Hamburg where the 33rd edition of the Chaos Computer Congress opened the door to 12.000 hackers, civil rights activists, makers and people interested in privacy and computer security. The motto of this congress is “works for me” which is meant as a critical nudge towards developers who stop after technology works for them, while it should work for everyone. A demand for a change in attitude. The congress is a huge gathering of people to share information, hack, talk and party, and the past days have been a blast. This congress strikes an excellent balance between high quality talks, interesting hacks and electronics and a laid back atmosphere, all almost around the clock. (Well, the official track stops around 2 a.m., but continues around half past eleven in the morning.) The schedule is really relaxed, which makes it possibly to party at night, and interrupt dancing for a quick presentation about colonizing intergalactic space — done by domain experts. 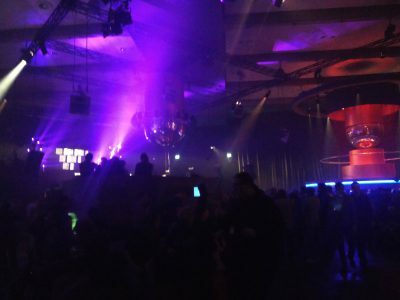 The conference also has a large unconference part, hacking spaces, and lounge areas, meaning that the setup is somewhere in between a technology conference, a large hack-fest and a techno party. Everything is filled to the brim with electronics and decorated nicely, and after a few days, the outside world simply starts to fade and “congress” becomes the new reality. I’ve attended a bunch of sessions on civil rights and cyber warfare, as well as more technical things. One presentation that touched me in particular was the story of Lauri Love, who is accused of stealing data from agencies including Federal Reserve, Nasa and FBI. This talk was presented by a civil rights activist from the Courage foundation, and two hackers from Anonymous and Lulzsec. While Love is a UK citizen, the US is demanding extradition from the UK so they can prosecute him under US law (which is much stricter than the UK’s). This would create a precedent making it much easier for the US to essentially be able to prosecute citizens anywhere under US law. 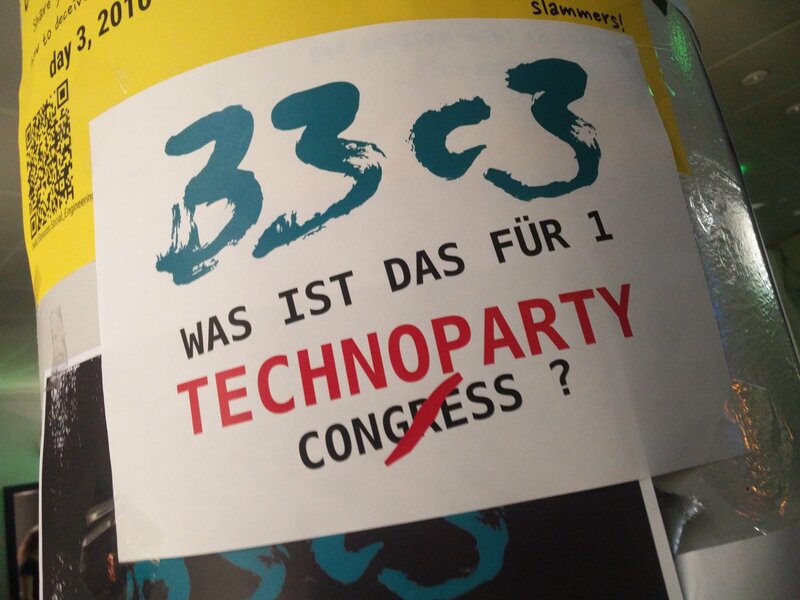 What kind of technoparty^W congres is this? This, combined with the US jail system poses a serious threat to Love. He wouldn’t be the first person to commit suicide under the pressure put on him by the US government agencies, who really seem to be playing hardball here. (Chelsea Manning, the whistleblower behind the videos of the baghdad airstrikes, in which US airforce killed innocent citizens carelessly, among others) who suffered from mental health issues, was put into solitary confinement, instead of receiving health care. Against that background, the UK would send one of their own citizens into a jail that doesn’t even respect basic human rights. On particularly touching moment was when the brother of Aaron Swartz took the microphone and appealed to the people who asked how they could prevent another Aaron, that helping Lauri (and Chelsea) is the way to help out, and that’s where the energy should be put. Very moving. The media team at this event is recording most of the sessions, so if you have some time to spare, head over to media.ccc.de and get your fix. 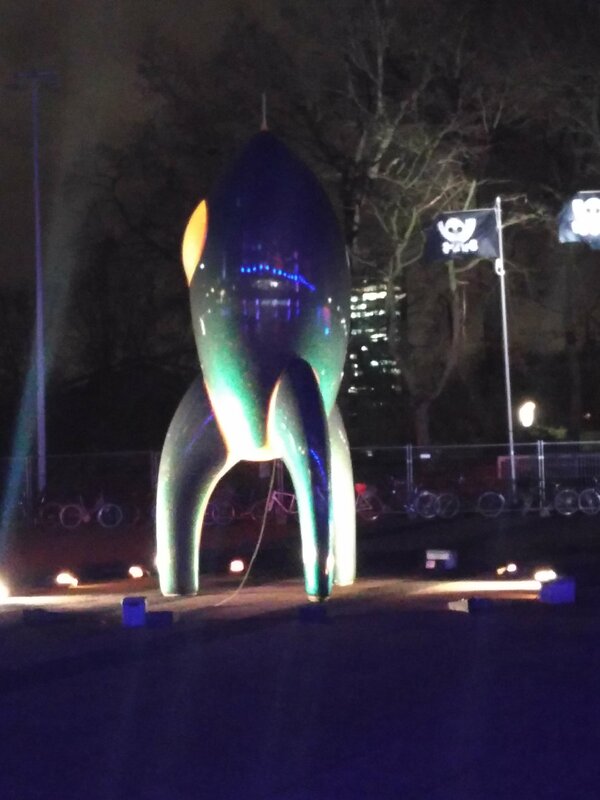 See you at 34C3! 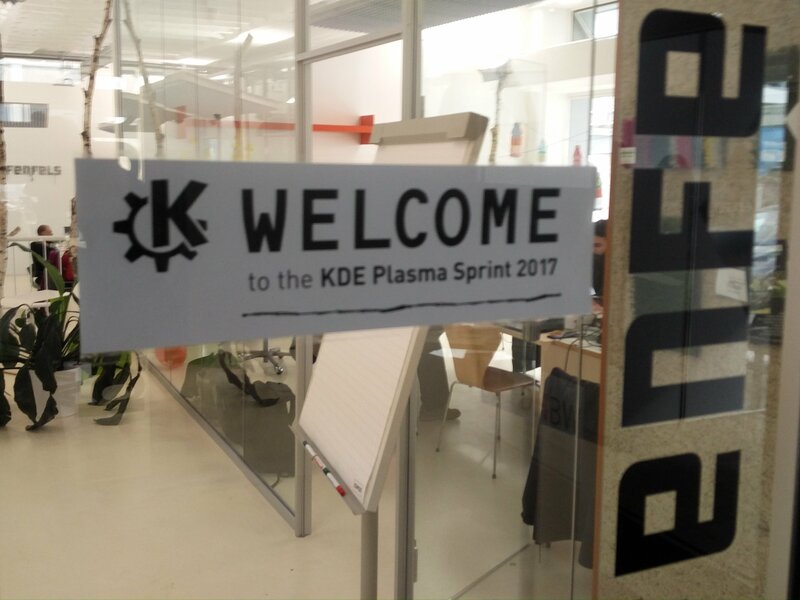 On Monday, KDE’s Plasma team held its traditional kickoff meeting for the new development cycle. We took this opportunity to also look and plan ahead a bit further into the future. In what areas are we lacking, where do we want or need to improve? Where do we want to take Plasma in the next two years? Our general direction points towards professional use-cases. We want Plasma to be a solid tool, a reliable work-horse that gets out of the way, allowing to get the job done quickly and elegantly. We want it to be faster and of better quality than the competition. With these big words out there, let’s have a look at some specifics we talked about. A cautionary note, we can’t know if everything exactly plays out like this, as this schedule, to a degree depends on external factors, such as Qt’s release schedule. Here’s what we intend to do, it is really our “best guess”. Still, this aligns with Qt’s plans, who are also looking at an LTS release in summer 2018. So, what will these upcoming releases bring? The Breeze icon theme will see further completion work and refinements in its existing icons details. Icon usage over the whole UI will see more streamlining work as well. We also plan to tweak the Breeze-themed scrollbars a bit, so watch out for changes in that area. 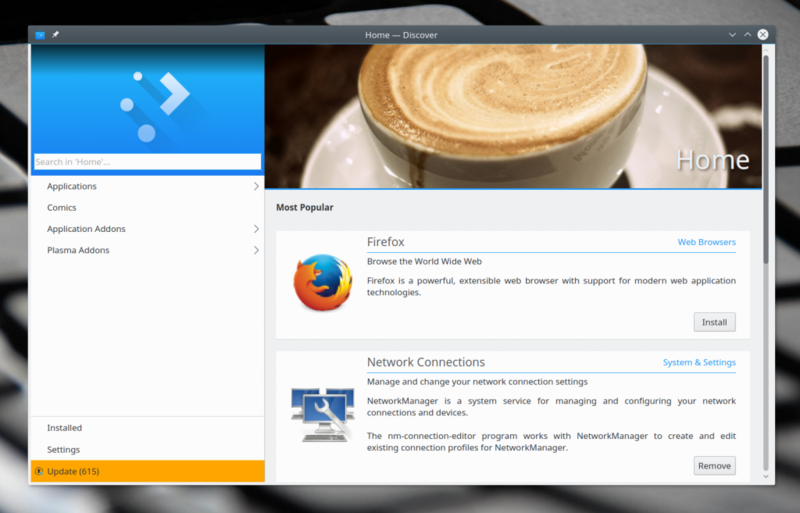 A Breeze-themed Firefox theme is planned, as well as more refinement in the widget themes for Qt, GTK, etc.. We do not plan any radical changes in the overall look and feel of our Breeze theme, but will further improve and evolve it, both in its light and dark flavors. One thing that many of our users are missing is support for a global menu similar to how MacOS displays application menus outside of the app’s window (for example at the top of the screen). We’re currently working on bringing this feature, which was well-supported in Plasma 4 back in Plasma 5, modernized and updated to current standards. This may land as soon as the upcoming 5.9 release, at least for X11. Better support for customizing the locale (the system which shows things like time, currencies, numbers in the way the user expects them) is on our radar as well. In this area, we lost some features due to the transition to Frameworks 5, or rather QLocale, away from kdelibs’ custom, but sometimes incompatible locale handling classes. The next releases overall will bring further improvements to our Wayland session. 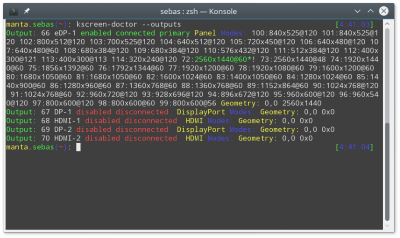 Currently, Plasma’s KWin brings an almost feature-complete Wayland display server, which already works for many use-cases. It hasn’t seen the real-world testing it needs, and it is lacking certain features that our users expect from their X11 session, or new features which we want to offer to support modern hardware better. We plan to improve multi-screen rendering on Wayland and the input stack in areas such as relative pointers, pointer confinement, touchpad gestures, wacom tablet support, clipboard management (for example, Klipper). X11 dependencies in KWin will be further reduced with the goal to make it possible to start up KWin entirely without hard X11 dependencies. One new feature which we want to offer in our Wayland session is support for scaling the contents of each output individually, which allows users to use multiple displays with vastly varying pixel densities more seamlessly. 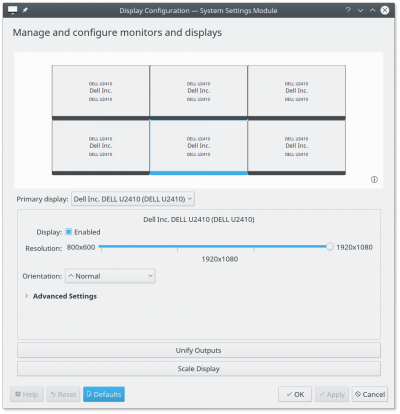 There are also improvements planned around virtual desktops under Wayland, as well as their relation to Plasma’s Activities features. Output configuration as of now is also not complete, and needs more work in the coming months. Some features we plan will also need changes in QtWayland, so there’s some upstream bug-fixing needed, as well. Plasma’s Mobile flavor will be further stabilized, and its stack cleaned up, we are further reducing the stack’s footprint without losing important functionality. The recently-released Kirigami framework, which allows developers to create convergent applications that work on both mobile and desktop form-factors, will be adjusted to use the new, more light-weight QtQuick Controls 2. This makes Kirigami a more attractive technology to create powerful, yet lean applications that work across a number of mobile and desktop operating systems, such as Plasma Mobile, Android, iOS, and others. 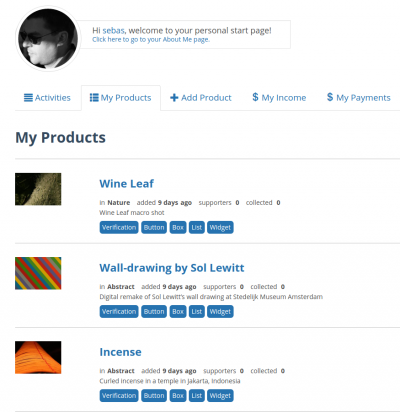 Planned improvements in our integration of online services are dependency handling for assets installed from the store. This will allow us to support installation of meta-themes directly from the KDE Store. We want to also improve our support for online data storage, prioritizing Free services, but also offer support for proprietary services, such as the GDrive support we recently added to Plasma’s feature-set. We want to further increase our contributor base. We plan to work towards an easier on-boarding experience, through better documentation, mentoring and communication in general. KDE is recruiting, so if you are looking for a challenging and worthwhile way to work as part of a team, or on your individual project, join our ranks of developers, artists, sysadmins, translators, documentation writers, evangelists, media experts and free culture activists and let us help each other. Jeanine showed me how to not breathe properly. We started with relaxation and breathing exercises on dry land. Deep relaxation, breathing using the proper and most effective technique, then holding breath and recovering. In the water, this actually got a bit easier. 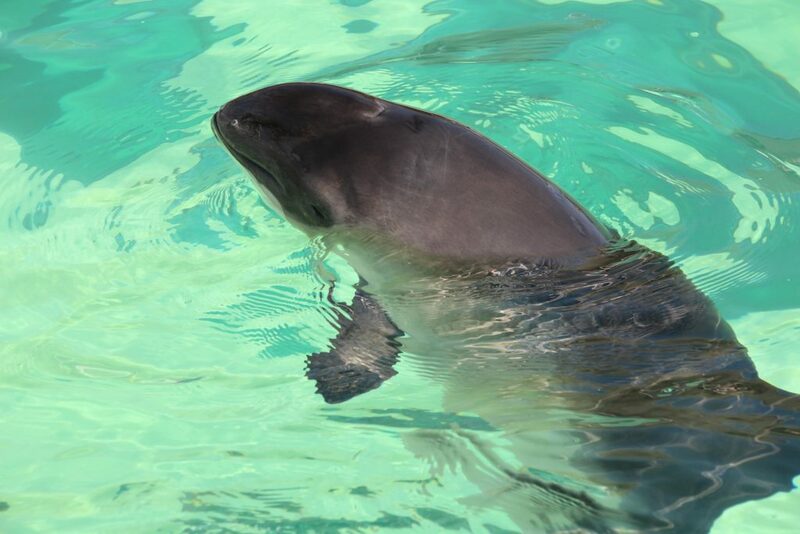 Water has better pressure characteristics on the lungs, and the mammalian diving reflex helps shutting off the air ways, leading to a yet more efficient breath hold. A cycle starts with breathing in the water through the snorkel for a few minutes, focusing on a calm and regular, relaxed breathing rhythm. After a few cycles of static apnea (breath holding under water, no movement), I passed the three-minute-mark at 3:10. We then moved on to dynamic apnea (swimming a horizontal distance under water on one breath). Jeanine did a careful weight check with me, making sure my position would need as little as possible correction movements while swimming. With a reasonable trim achieved, I swam some 50m, though we mainly focused not on distance, but on technique of finning, arms usage and horizontal trim. The final exercise in the pool was about diving safety. 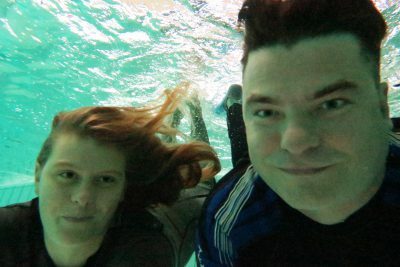 We went over the procedure to surface an unconscious diver, and get her back to her senses. Freediving, as it turns out, is a way to put the world around on pause for a moment. You exist in the here and now, as if the past and future do not exist. The mind is in a completely calm state, while your body floats in a world of weightless balance. 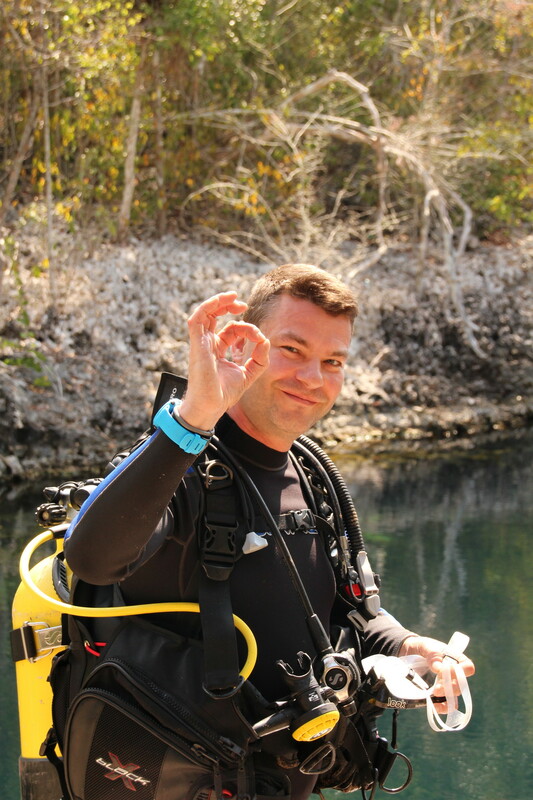 As much as diving is a physical activity, it can be a way to enter a state of Zen in the under water world. Jeanine has not only been a kind, patient and reassuring mentor to me, but opened the door to a world which has always fascinated and intrigued me. A huge, warm thanks for so much inspiration of this deep passion! The cutest whale in the world! In other news on the “mammals that can hold their breath really well” topic: I’ve adopted a cute tiny orphaned whale! Our upcoming release, Plasma 5.8 will be the first long-term supported (LTS) release of the Plasma 5 series. One great thing of this release is that it aligns support time-frames across the whole stack from the desktop through Qt and underlying operating systems. This makes Plasma 5.8 very attractive for users need to that rely on the stability of their computers. Qt 5.6 has been released in March as the first LTS release in the Qt 5 series. It comes with a 3-year long-term support guarantee, meaning it will receive patch releases providing bug fixes and security updates. 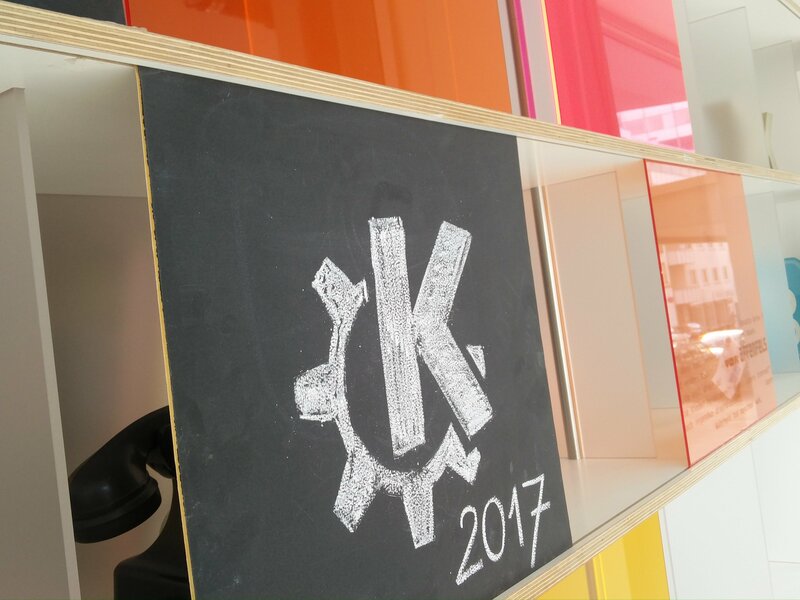 In tune with Plasma, during the recent Akademy we have decided to make KDE Frameworks, the libraries that underlie Plasma and many KDE applications 18 months of security support and fixes for major bugs, for example crashes. These updates will be shipped as needed for single frameworks and also appear as tags in the git repositories. The core of our long-term support promise is that Plasma 5.8 will receive at least 18 months of bugfix and security support from upstream KDE. Patch releases with bugfix, security and translation updates will be shipped in fibonacci rhythm. To make this LTS extra reliable, we’ve concentrated the (still ongoing) development cycle for Plasma 5.8 on stability, bugfixes, performance improvements and overall polish. We want this to shine. There’s one caveat, however: Wayland support excluded from long-term-support promises, as it is too experimental. X11 as display server is fully supported, of course. You can enjoy these LTS releases from the source through a Neon flavor that ships an updated LTS stack based on Ubuntu’s 16.04 LTS version. 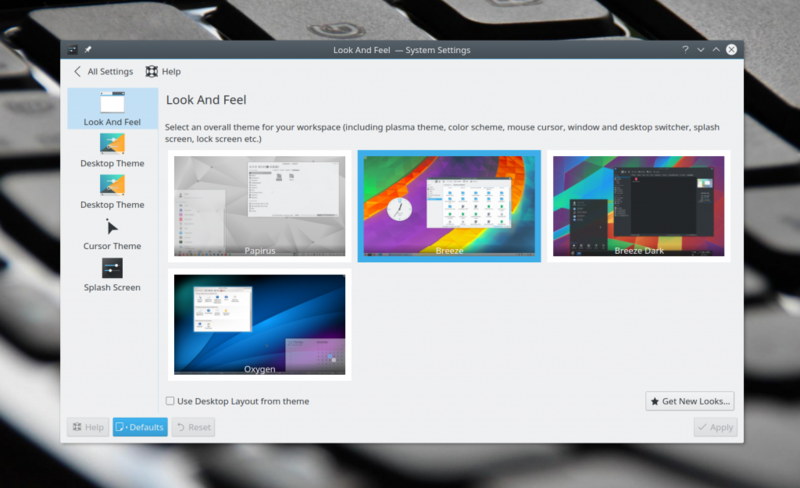 openSuse Leap, which focuses on stability and continuity also ships Plasma 5.8, making it a perfect match. The Plasma team encourages other distros to do the same. 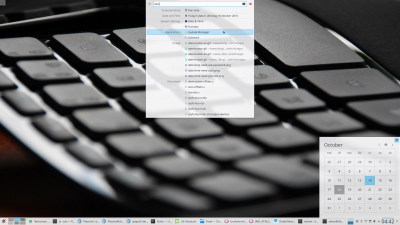 After the 5.8 release, and during its support cycle, KDE will continue to release feature updates for Plasma which are supported through the next development cycle as usual. Lars Knoll’s Qt roadmap talk (skip to 29:25 if you’re impatient and want to miss an otherwise exciting talk) proposes another Qt LTS release around 2018, which may serve as a base for future planning in the same direction. It definitely makes a lot of sense to align support time-frames for releases vertically across the stack. This makes support for distributions considerably easier, creates a clearer base for planning for users (both private and institutional) and effectively leads to less headaches in daily life. I’ve also uploaded my slides, and you can find the rest of the QtCon presentation videos here. Big news: Today, KDE announced a new software store, and that the source code for this new service has been released as Free software under the AGPL, fixing a long standing bug in KDE software: reliance on a proprietary web service. That also means that KDE has a new software store that replaces the opendesktop sites. The migration has been happening in the background, so you may actually have used the new store from within Plasma or applications to install add-ons already without noticing it! We have great plans for the store, one of them being that we want to offer download (and easy installation) of binary packages through containerized bundled formats such as Flatpak, Snappy and/or AppImage. Stay tuned for more, for now, please celebrate with us a Plasma desktop (and KDE applications) that are more Free than ever before. Update: I’ve uploaded slides, and there’s a video of my presentation online now. 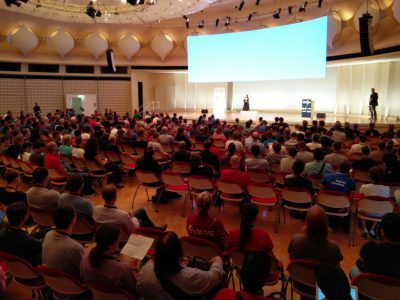 QtCon 2016 is a special event: it co-hosts KDE’s Akademy, the Qt Contributor summit, the FSFE summit, the VideoLan dev days and KDAB’s training day into one big conference. As such, the conference is buzzing with developers and Free software people (often both traits combined in one person). Release Schedule — Our current schedule was based on the needs of a freshly released “dot oh” version (Plasma 5.0), Plasma 5 is now way more mature. Do we want to adjust our release schedule of 4 major versions a year to that? Convergence — How can we improve integration of touch-friendly UIs in our workflows? What are our biggest quality problems right now, and what are we going to do about it? How do we make Plasma Mobile available on more devices, what are our next milestones? How can we improve the Plasma session start? What’s left to make Plasma on Wayland ready for prime-time? How can we improve performance further? You see, we’re going to be really busy here. You won’t see results of this next week, but this kind of meeting is important to flesh out our development for the next months and years. All good? – All good! I’ve done a facelift to my website. The new version is more mobile-friendly, modern-looking and quite a departure visually from its original look. I’ve chosen for a newpaper-like, typography-based responsive layout. My site finally also supports SSL, thanks to let’s encrypt. Next week, I’ll be going to Akademy, which is co-hosted with QtCon. As usual, my focus will be around Plasma-related topics. I’ll also hold a presentation about a KDE software store.